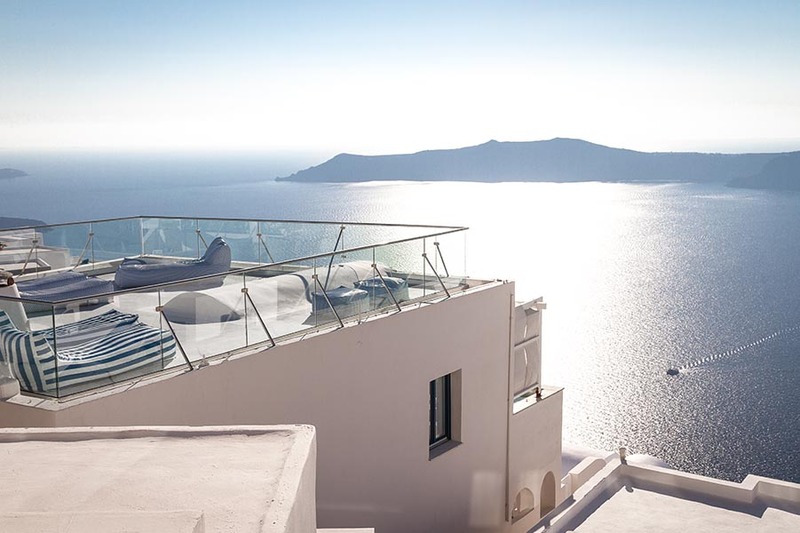 Galaxy Suites is located in the traditional village of Imerovigli. The capital city, Fira, is one mile from the hotel. Walk along the track above the cliffs, enjoying the view all the way to Fira. The city is also accessible by bus, taxi or car. Located close by are restaurants, cafeterias and super markets. There is a public parking located 35 meters from us.